EVs provide the opportunity to decrease vehicle emissions and oil use, and now Northern Coloradoans have access to one of the nation’s best-selling all electric vehicles at a pre-negotiated, discounted price. The 2016 group buy is a pre-negotiated price for the Nissan LEAF open to Northern Colorado residents through the Drive Electric Northern Colorado partnership. This Group Buy is currently only available through December 31, 2016. Inventory is limited. If your preferred model is not available, an order may be placed at the same price. 2016 Nissan LEAF S or SV- market rate price. The LEAF S has a range of 84 miles, the S30 and SV have a range of 107 miles. Price does not include taxes and dealer handling fees. The Group Buy is a pre-negotiated savings. The tax credits are applied for by each EV owner, and would not happen at time of purchase. The state of Colorado credit is a refundable credit. (See this link for more on tax credits). Offer available until December 31st or while supplies last. There is limited inventory for certain models, though consumers may have the opportunity to pre-order after inventory depletes. We do encourage you to act quickly. Must finance with NMAC, with approved credit. Prices are subject to change without notice. DENC strives to maintain transparency. 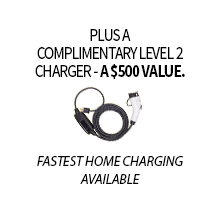 Level 2 home charger, a $500 value, free with purchase! The two workplaces with the most employee and/or fleet purchases will receive free Level 2 charging stations, compliments of National Car Charging and Verdek.